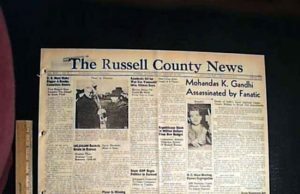 The New York Times had a first page story with the feature, ‘Gandhi Is Killed By A Hindu’, while US daily paper The Russel County News called his demise, a ‘Death by an ‘Aficionado’. 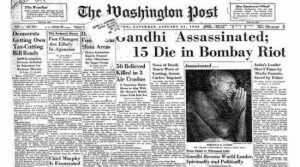 70 years back on this day, Mohandas Karamchand Gandhi, referred to respectfully as Mahatma Gandhi, was killed. 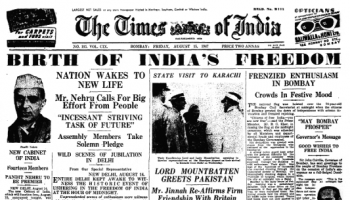 Gandhi was assaulted while he was en route to go to a supplication meeting at Birla House. 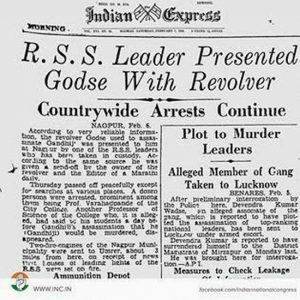 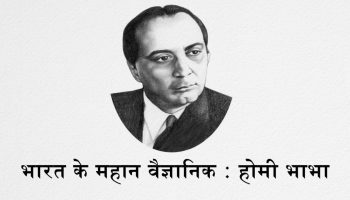 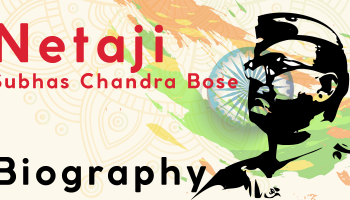 His executioner Nathuram Godse and Narayan Apte were indicted and hanged to death on November 15, 1949. 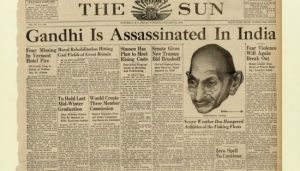 Gandhi’s murder caused broad sadness and stunned the world, as is apparent in noteworthy records of the critical day. 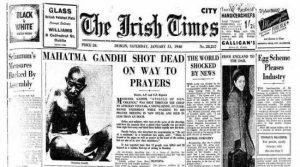 While the world grieved, daily papers far and wide gave an account of the heartbreaking misfortune. 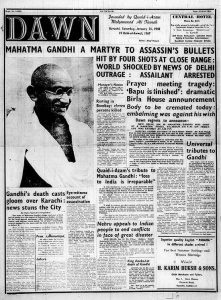 Pakistan daily paper Dawn announced the death with the feature, ‘Mahatma Gandhi A Martyr To Assassin’s Bullet’. 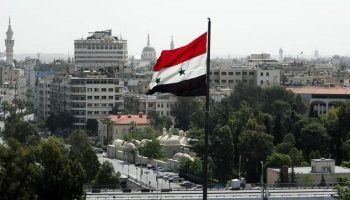 Resulting reportage on the trial of his murder possessed spaces on most dailies on the planet. 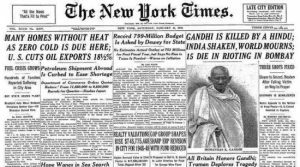 Gandhi, the ‘most discussed man on the planet’ was not to be quieted in this manner. 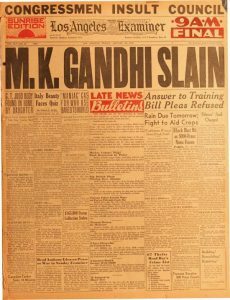 First page reports now moved to Gandhi’s executioners. 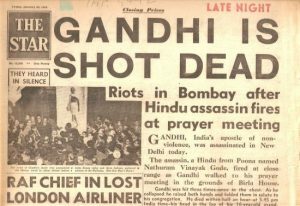 Who were they and for what reason did they slaughter the Father of the Nation.